For sheds, garages, carports, fencing and general steel supplies in a full set of colours as well as zinc alume and galvanized, look no further than our range of steel products. We even do installations, so we can be there to help you every step of the way. Basic steel Supplies are available to advise you on the design and structural elements for any steel fabrication job you might have. Drop off your plans and we will not only cost the job but we will also compile a list of all of the components you need to complete your steel fabrication job. Our tough-coated steel is manufactured to Australian Steel Institute specifications to ensure long lasting steel products designed for harsh Australian conditions. 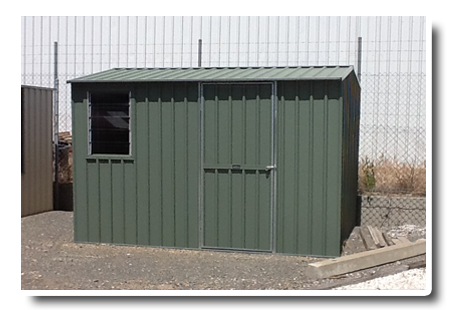 Basic Steel bring you the best priced garages and sheds in Adelaide and the southern Suburbs in Adelaide S.A. They can do this because they offer a complete service for the design construction and installation of any size garage and shed. 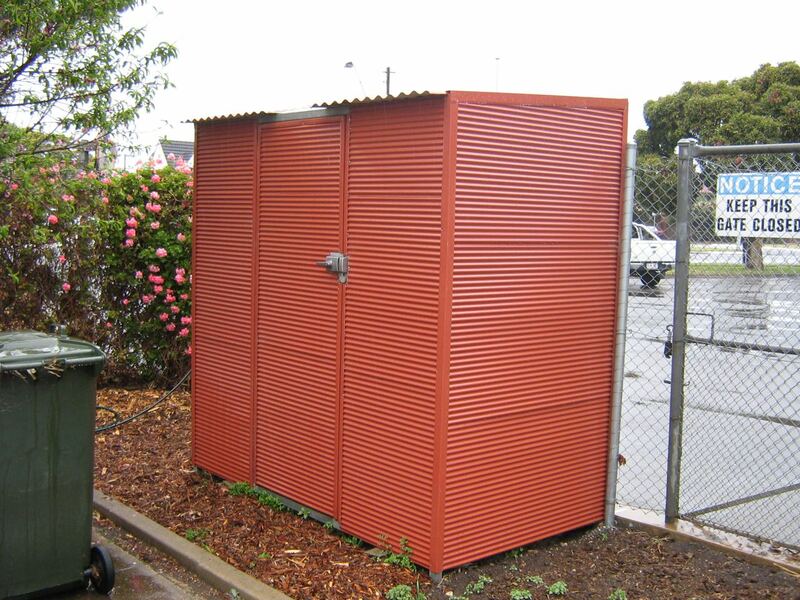 Basic steel have been installing garages and shed in Adelaide for many years and have been using the same tradespeople for a long time this will give you comfort that your garage, shed, verandahs, fencing or any job will be completed quickly and efficiently. Steel Supplies, strong, hard-wearing steel. High-tensile steel is widely used in home improvements and commercial projects. Our steel supplies come in galvanised and zincalume which gives it a durable, abrasion-resistant coating that prevents rusting. Steel structures are a simple, easy way to install additional space to your home or workplace. We supply steel for use in garages, sheds and other useful storage options. 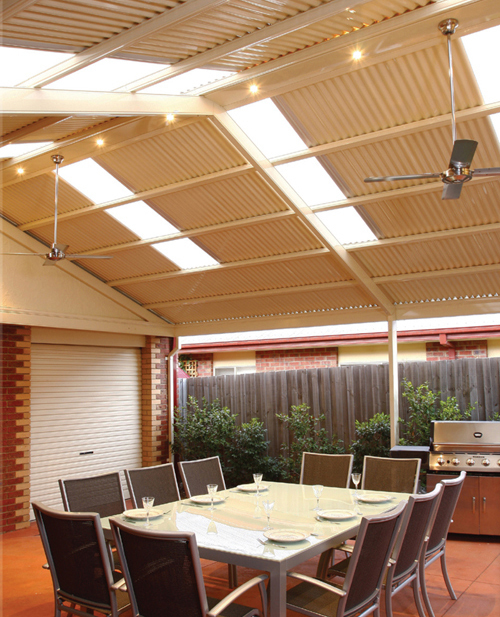 Carports and outdoor verandahs are simple, effective ways to add space to your home. Optional UV protection fibreglass sheet roofing available. Colorbond use a tough, oven-baked finish and Super Polyester coating technology which makes it resistant to corrosion and physical damage like chipping. 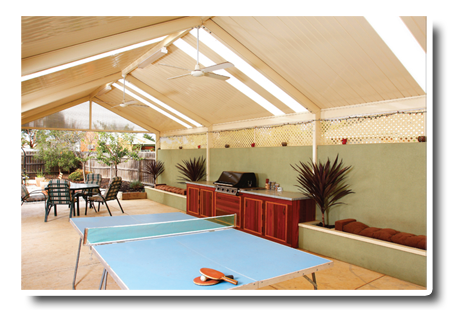 Colorbond systems can be configured to your home and lifestyle. 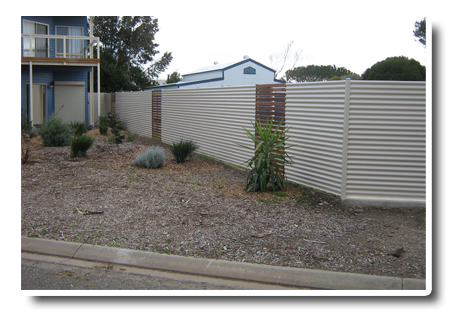 Steel fencing is a lasting home fencing option. Because it resists weathering and corrosion, this material is the perfect material for outdoor uses. A Basic Steel fence adds value to your property. We also supply general steel for DIY and other projects. General supplies include structural sections, plates, flats, angles, rounds pipe, RHS, building Beams and all types of mesh, roofing, walling, flashing and guttering. • RUST PROOF – A choice of either zinc alume or galvanised. Galvanised steel is used worldwide due to its anti-corrosive properties. A coating of metallic zinc and zinc-iron alloy layers are bonded to the steel protect it from oxidisation and help it retain its strength and appearance. Zinc Alume works on a similar principal to produce steel that is practically rust proof. • RESISTANT TO THE ENVIRONMENT – Steel is a metal alloy and is subject to little weathering. Resistant to insects such as termites that can destroy traditional wooden structures and because it doesn’t break down appreciably, your steel structure is protected from harmful environmental effects that can be serious issues with other structural materials. Steel is also a non-burning material which doesn’t contribute fuel for fires. • LIGHTWEIGHT AND STRONG – Steel is one of the world’s most common building materials because it is a light but strong material that can be easily manipulated and installed. Steel has to highest strength to weight ratio of any other building material in use today. Because it is inorganic it resists warping, rotting and breaking down and retains its high-tensile strength. Perfect for DIY projects because it can be easily handled by one person. • DURABLE AND LONG-LASTING – The Australian Steel Institute ensure the quality of steel produced in Australia meets their high standards. This means that steel has a reliable material consistency. Galvanised steel has a life expectancy of 50 years in most rural environments and 25 years in even the harshest Australian conditions. • DUCTILITY – Steel has high ductility, meaning it performs to specifications even under high stress. Because it retains its strength under strain, it is well adapted to building purposes. Have You Seen Our Steel Specs? Steel is high-tensile and durable. It is used worldwide in construction and infrastructure because of its long-life and adaptability. Carbon Steel used in construction accounts for over 90% of all steel produced worldwide. The lightest material with a high-tensile strength used in the world for building applications. The world’s largest construction projects, such as skyscrapers, employ steel because of its notorious strength. Supports a higher load when compared to its own weight. The critical temperature (the point at which it loses structural integrity) of steel is higher than most building materials, meaning it is not only fire resistant but will by largely undamaged due to excessive heat. See our large range of garages and sheds and find out how we can add some style and value to your home. Steel garages and sheds help secure your belongings and protect them from the weather. Available in 25′, 30′ & 40’ wide, in any length and in a variety of height options and loads of colours to choose from, Basic Steel Supplies have what you’re looking for. Have a browse through our carports and verandas. Ideal for adding some extra space for the car or an entertaining area for the family. Our steel is made with an aluminium/zinc/magnesium coating that acts as an anti-corrosive and prevents chipping or cracking. A Basic Steel carport will protect your car from the elements and retain its structural integrity for longer than other materials. 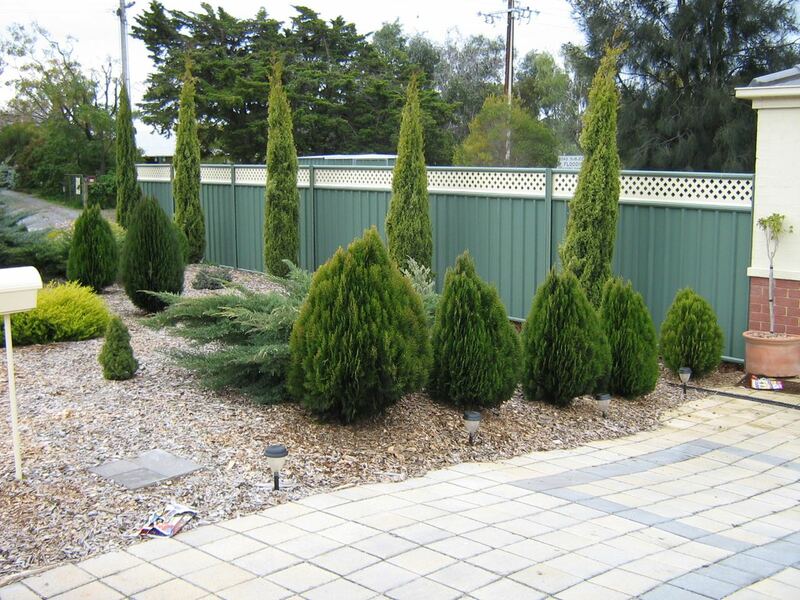 You can’t go past our quality fencing and general steel products. In a large range of colours and zinc alume our fencing is a great addition to any home. With easy assembly or installation available on request, we can have your new fence up quickly and at an affordable price.